Born of a Jewish mother and a Catholic father, I grew up celebrating all the holidays related to both faiths. I considered myself fortunate to partake in both matzoh balls and chocolate bunnies; chopped liver and Christmas cookies (not in the same mouthful, thank goodness). But more importantly, I’ve lived life with an open mind and have been afforded a broad understanding and acceptance for two of the world’s major religions. I didn’t have traditional religious upbringing outside of these family celebrations, however; I didn’t attend synagogue, church, or religious school. And if I’m being honest, it was always more about family and the food (okay, and for some holidays, the gifts). I learned only bits and pieces of the historical relevance of the various holidays and other than saying the pre-meal blessings, we typically didn’t follow many of the rituals. Among the most rigorous of these rituals we bypassed is the 15-step Passover Seder. So I didn’t feel too bad when Hungarian Jew Margit invites her American boyfriend David to help her to pull off the many-hours-long ceremony in Sarah Gancher’s new play Seder (don’t worry, the play only clocks in at about two hours). 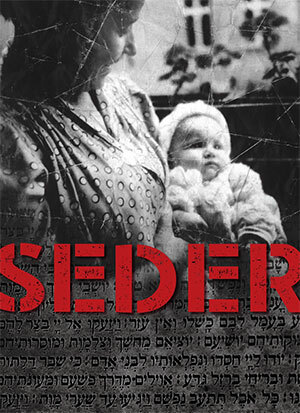 In its world premiere at Hartford Stage, Seder is on the surface, an exploration of the Passover holiday by a family who’s unacquainted with the celebration; but much more so, it is an intense, powerful, and at times shocking family drama. It brings us into the individual lives and the collective world of a dysfunctional bunch who struggle to navigate the minefields of past and present, truth and lies, as well as extraordinarily strained familial relationships, all in the context of this protracted holiday. Chief peacemaker and well-meaning Margit cooks while David sets the table, then David reads from the Passover Haggadah, the written guide to the Seder which tells the story of Israel’s Exodus from Egypt. A traditional Seder will include shared readings, drinking wine (you’ll soon see that everyone needs the wine at this celebration, especially brash younger brother Laci), eating special foods, singing, and prayers. But this is a very special night for this household and not just because it is Passover – although it is intended to have been, it becomes a night of revelations; a night of perversely heightened emotions; and potentially, a night of healing. Human frailty is exposed and each member of the family is affected entirely differently. In the Haggadah it says, “In every generation each individual is bound to regard himself as if he had gone personally forth from Egypt.” In that vein, the Passover Seder is to be an opportunity for every participant to make the night personal – individual and intimate. Passover is a celebration of birth and rebirth; the journey from slavery to freedom; and of taking responsibility for one’s self, the community, and the world. The holiday serves every attendee well as Gancher’s powerful text juxtaposes the characters’ personal disclosures, understanding and acceptance of other’s truths, and ultimately growth, against the holiday itself. During the meal, better-late-than-never, estranged daughter Judit arrives laden with condescension and haughtiness. It’s immediately evident that she has nothing but contempt and disdain for her mother, Erzsike – but Mama finally has the chance after ten torturous years to close the distance between them. It isn’t long, however, before we learn that Erzsike has a dark secret – she was a former typist for the Hungarian KGB. It is 2002, and Judit now runs the House of Terrors, a new museum devoted to the hideous scars of Hungary’s history – to the Communist atrocities committed against countless innocents who were tortured and murdered in the very building. It is the former headquarters of the Communist Secret Police. At Judit’s bidding, her mother’s photo hangs on the Wall of Murderers, and earlier that day Erzsike stopped dead in her tracks upon seeing it there. 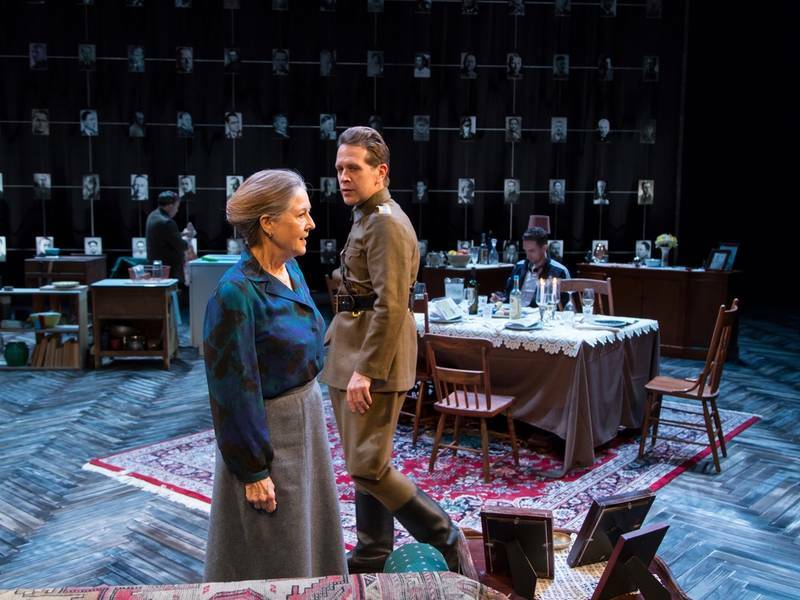 With sharp, biting dialogue, often to comic effect, this stellar cast brings to light the horrors of Hungary’s past and the very personal effects it had on one particular family. It is an illuminating story of the lengths people would go to survive under the Communist regime; to the psychology of obedience – and its corruption of an individual’s morality and free will; and the long-lasting and far-reaching consequences of it all. With powerfully effective flashbacks to Erzsike’s youth and to her work at the KGB, we see the viciousness of the authority and control exhibited by her boss and lover, Attila, and the impact it had on her weak, alcoholic husband Tamás. 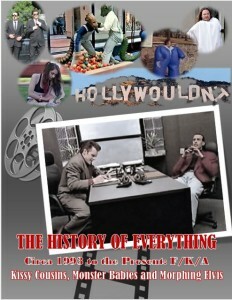 Elizabeth Williamson expertly directs with exceptional attention to the sensitive subject matter. But she had everything she could hope for in this troupe. Mia Dillon is exceptional as the fiery Erzsike, seamlessly moving back and forth between the decades, delivering a finely nuanced performance as the vulnerable 19-year-old as well as the resilient but ever-haunted matriarch. Julia Sirna-Frest as Margit is terrific as the middle child and intermediary, who does all she can to keep the celebration moving while attempting to avoid the flying barbs and smooth the rough edges of the family wounds. Steven Rattazzi is endearing if not somewhat dense, as the drama swirls around him like a cyclone. Dustin Ingram’s Laci is humorously cynical, shooting straight from the hip and never holding back, swigging as much wine as he can just to get through the night. Birgit Huppuch is an incredible force; as Judit, she enters like a whirling dervish and upends not only the Seder but the entire family and who they all believe themselves to be. Jeremy Webb’s Attilla is downright despicable, reprehensible, and the embodiment of power, control, and unadulterated evil. Liam Craig as Tamás is superb as the weak of will, castrated husband. Shout-outs to Nick Vaughan for perfectly appointed set design. To Ilona Somogyi for costume design (I especially liked Laci’s Adidas track suit). To Marcus Dilliard for effective lighting design; to Jane Shaw for sound design; to Greg Webster for fight choreography. Weighty yet sensitive, and altogether thought-provoking, Seder packs a wallop. You don’t need to have attended a Seder yourself to understand the importance of Passover nor know of Hungary’s ugly past to feel the impact of the events. 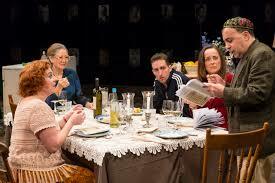 Part history lesson, part therapy session, part dysfunctional family holiday, Seder is not to be missed. Seder: A Jewish ritual service and ceremonial dinner for the first night or first two nights of Passover. 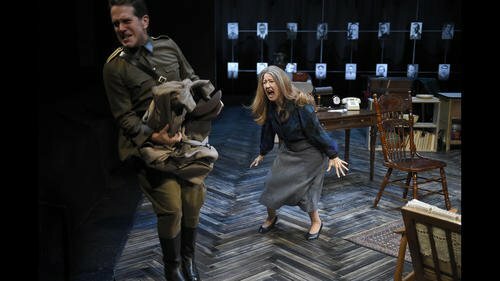 Hartford Stage’s world premiere of Seder, inspired by a true story, is a riveting, historical drama about the impact of the fall of Communism in Hungary on one particular family of Jewish descent. The play takes place in Hungary in 2002. That was the year that the House of Terror museum opened, thirteen years after the fall of the Berlin Wall. The House of Terror was formerly home to the last bastion of communism and the Nazi-affiliated AVO, the secret police of the Hungarian Communist Party which was known for its brutality and torture of the individuals under investigation. Erzsike, widow and matriarch of her family, does not have time for her Jewish heritage or the ritualistic commemoration of a Seder. In fact, she has never gone through a complete Seder in her adult life. Her disdain for religious ceremony has spilled into at least two out of three of her children. Her oldest and first born, Judit, from whom she is estranged, has not seen her for over a decade. Her son, Laci, has adopted American capitalism wholeheartedly by wearing an Adidas running suit and headphones on what is considered to be one of the most sacred religious holidays in the Jewish religion. It seems that only Erzsike’s daughter, Margit, is interested in pursuing tradition and has a boyfriend, David, who is willing to conduct a full Seder. Somehow, Margit has convinced her sister, Judit, to come to the Seder and see her mother and brother. As we learn through the course of the play (if we did not know it already), a Seder commemorates the Jewish Exodus out of Egypt. During the course of the meal, participants will partake of four cups of wine, veggies dipped in saltwater, bitter herbs like horse radish, and matzos. The somewhat bitter foods are meant to represent the affliction and poverty that the Jewish people suffered in Egypt. The feast also includes singing and the telling of stories. The performances are outstanding. Mia Dillion, always a delight to watch, was wonderful as the jaded, yet vulnerable and haunted matriarch, Erzsike. Brigit Huppuch plays the perfect rebellious, self-righteous daughter, Judit. Julia Sirna-Frest is spot-on as the amiable, peacemaking daughter of the family, Margit. 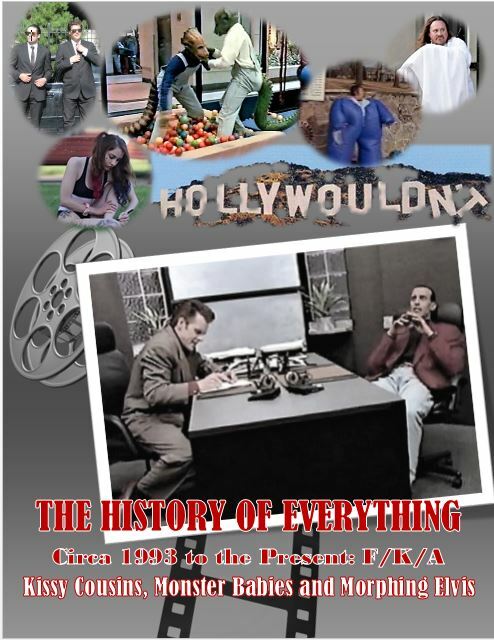 Thankfully in an intense drama such as this one, there is a great deal of comic relief provided by Dustin Ingram (Laci) and Steven Rattazzi (David) via their sharp repartee, wry observations of politics and religion, and witty characterizations. Liam Craig gives a touching and sincere performance as Erzsike’s husband, Tamás. Finally, props almost go to Jeremy Webb who gave a commanding performance as the Vaderesque (yes, it’s really word in our lexicon) Attila, the head of the AVO. The play was written by rising star in the theatrical world, Sarah Gancher (who has parallel lives as a jazz violinist and circus clown!) and was masterfully directed by Elizabeth Williamson who also is the Associate Director of Hartford Stage. My only criticism is with the structure of the play. I would have preferred the big reveals to be at the end rather than in the middle of the Seder. While I understand that finishing the Seder is cathartic and represents closure to the events that have surfaced, it felt tantamount to Luke Skywalker finding out that Darth Vader is his father and then sitting back down with his family to finish holiday dinner. Nevertheless, the play is powerful and its themes of prejudice, religious persecution, human cruelty, and family interaction are universal and resonate with audiences whether they are of Jewish descent or not. In fact, this play had a very personal impact on me. Late in life, I discovered that my father was Jewish and our original surname was Moses, not Keeley. It had been changed and our Jewish heritage suppressed because of anti-Semitism. There is no question that life does, at times, imitate art.